It feels like scaling a mountain to even begin this post. That's because I've had to give myself permission to do so. Do I really have time? Is this even worth writing about? I like to think of myself as fairly self-sufficient. You see, I'd much rather take a meal to someone than to have to accept one. I'd rather hang my clothes on the line than run up my electric bill. I'd rather grow our own vegetables, teach my own children, tidy my own house, etc., etc., etc..
And yet I find myself in an extremely humbling season of life because I. can't. do. this. by. myself. When we decided to go through the foster care training I knew deep down that more than anything else I had yet done in my life, THIS experience was going to humble me the most and drive me straight into the arms of my heavenly Father. No skirting around His offer of help. No pretending I could do it all on my own accord. None of that. I was going to need His supernatural love and strength to carry me through and I *knew* I hadn't done enough of that in my life thus far. It scared me to death to think about. I wasn't afraid He wouldn't be there for me, that He wouldn't keep His promises. I knew He would and He has- time after time after time. I just didn't want to admit my inability to do it myself. What silly creatures we are. 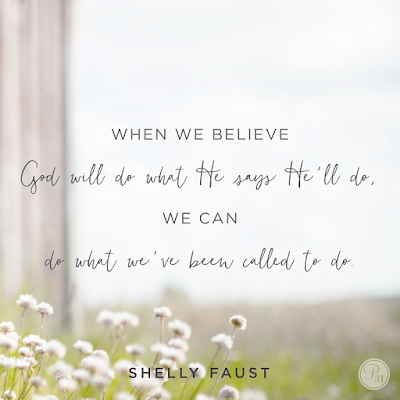 In giving myself permission to lean on Him, to admit my short-comings and His all-knowing, I am allowing myself to do that which I believe we've been called to do- nurture an infant in his/her early stages of growth and development. Saying yes to foster care has meant saying no to doing a lot of things on my own- spiritually, physically and emotionally. I haven't mastered it yet. I work on it every day as I load wet clothes into the dryer, pay the cleaning women, watch as an amazing tutor teaches my daughter math, accept yet another meal, another prayer, another ride to yet another out of town medical appointment, sign up for a full CSA share, and say thank you for one more offer of kid-care. If you find yourself in a similar season, let me tell you that if you can be so kind to yourself as to give yourself permission to let go of all that you "should"/could do, you may free yourself up to do what you have been called to. And you'll likely do it better than any of that other stuff anyway. But you'll need to give yourself permission each new day. And, sometimes, at each new hour. Say no so that you can yes. Even though from experience I know it is true- I, too need the constant reminder: The view from the top of what seems to be a treacherous, humbling, and surreal mountain is so very worth it. Soak in His love and let the unimportant stuff fall from your pack. It will drive you through the woods to the top. Thank you so much for this post. I have been going through a super rough patch here at work and I really needed this reminder. What a huge, huge life lesson you have learned. What a growth experience. (Definitely one on which I'm still working!) Thank you, thank you for giving yourself permission to take the time to share. Jane, I love reading your posts. Thank you, again, for pointing us to the Father! Jesus always gives his greatest trials to His strongest believers. Prayers for you and your family.